Do you want to go behind the scenes with me and get special inspirational content I don’t share anywhere else? Join my newsletter called the Coffee Club—it’s FREE! You will receive exclusive content, news on book releases and speaking engagements, plus a free gift for signing up. Hi! I’m Stacey, Mike’s wife and the mother of four girls.I like to describe myself as a believer and writer who loves God’s Word and connecting with women. I have a passion for Bible teaching and connecting with women in LIVE events. If you are looking for a speaker I’d love to hear about your event! I would love to connect with you. Do you have a question? 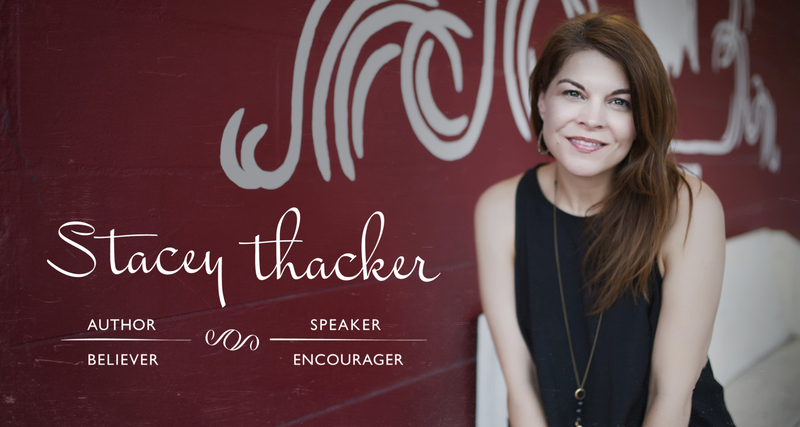 Maybe you have a women’s ministry event and need a speaker. Just fill out this form and hit send. I never imagined this was what God had planned when I first started blogging. Since starting, I’ve co-authored two books and written four on my own! Only God! I started writing on a blog called 29 Lincoln Avenue a few years ago when I was pregnant with my fourth daughter because my husband thought it was a good idea. He was right, as usual. I love blogging. Blogging is my favorite. I’ve been writing online for almost 10 years. I am now in a position where I would like to encourage other women in their journeys as well. I know that sometimes it helps to talk to someone who has been there or who might be a step or two ahead of you. Hey friend. Grab some coffee. Let's chat.